Theriogenology is the branch of veterinary medicine concerned with reproduction, including the physiology and pathology of male and female reproductive systems of animals and the clinical practice of veterinary obstetrics, gynecology, and andrology. The Department of Theriogenology (previously known as Animal Reproduction) was established in 1980. Former graduates of this Department attained primary position in the area of teaching, research and clinical work all over Pakistan and also in the USA and Canada. 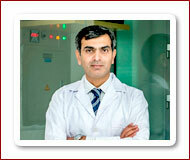 Department is involved in undergraduate teaching/ training of DVM students. Furthermore, Department is offering degree program of M. Phil. and Ph. D. in Theriogenology.